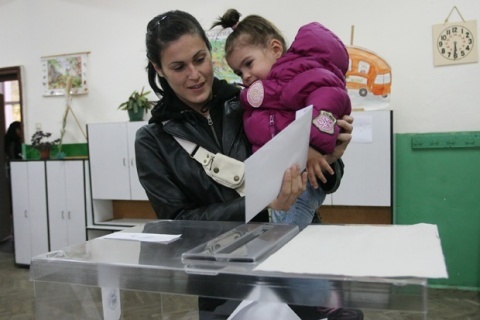 Bulgarians abroad have until September 27 to declare their preferred voting location outside Bulgaria. The written requests are automatically sent through the internet site to the respective Bulgarian diplomatic mission. Embassies and Consular Offices are mandated to open a poll section if they receive 100 applications for the same location. This is the initiative's third edition. It is not affiliated with any political party and it is supported by the Public Councils of Bulgarians Abroad and the Facebook group Voting without Borders. The transmission of all personal data of the site's users is protected by an encoding certificate. Files with scanned signatures are not recorded and kept on the site. All other data is kept only until the voting polls are announced as proof of the number of submitted applications. The other reason for keeping such record is the fact that there is a number of users, who often come back to finish the application and are prone to give up if they have to repeat the process of filling the data. Social Security Numbers (Unified Civil Codes) and addresses are going to be deleted after the announcement of voting polls' locations in the beginning of October. Tags: Bulgarians, abroad, vote, Presidential elections, expats, We Want to Vote, Public Councils of Bulgarians Abroad, Voting without Borders.